The original ALEXA comes with a 16:9 sensor and the original SxS Module that accepts two SxS PRO or SxS PRO+ cards for recording in-camera ProRes or DNxHD. ARRIRAW recording is possible with an external recorder. A great looking image consists of many parts: the absence of artifacts, high dynamic range, sharp and natural rendering, high sensitivity, low noise and natural color reproduction. All ALEXA cameras provide the best overall image quality with the least amount of fuss. To render images with a film-like, organic look, all components of the ALEXA imaging chain are proprietary high performance custom designs: the optical low pass filter, the CMOS sensor, the electronics hardware imaging engine and the image processing software for full 16 bit linear processing in-camera. The ALEXA sensor provides high dynamic range images through an unequalled exposure latitude with special consideration given to highlight treatment. Creating a good looking roll-off in the highlights is probably one of the most difficult tasks for any sensor designer and we have spent enormous resources at insuring exceptional highlight handling. ALEXA’s wide exposure latitude translates into a ‘thick’ digital negative; there is more detail information in the highlights and in the dark areas than any of the current display technologies can disclose. This means tremendous flexibility when color grading and makes ALEXA images future-proof for high dynamic range (HDR) display technologies. Because of ALEXA’s great overall image quality, its images can be easily up or down-sampled for spectacular HD, 2K or 4K deliverables. ALEXA’s high sensitivity and its ability to retain definition even when extremely under or overexposed make it very easy to work with. ALEXA’s unique color processing was developed by the same ARRI color scientists that have been working on the ARRILASER and ARRISCAN; thus they are intimately familiar with both film and digital color science. ALEXA renders natural colors, great looking skin tones and shows great color separation while also showing a fantastic ability to resolve mixed color temperature sources. ALEXA represents the most efficient and versatile method to capture and then transport images, audio and metadata through the production process. This is achieved with a multitude of in-camera recording options, support for the native codecs of the most popular non-linear editors, complete rich metadata, integrated color management and a pre-recording option. So, disregarding if you want to shoot a low budget TV series or Martin Scorsese’s next big Hollywood feature, you can configure an ALEXA for the task at hand. This is also great for rentals, who can use the same product for many different customer demands. We know what it is like to try to change frame rate and shutter angle at 4:00 am in the morning in the rain after a long night shoot. We know that a camera needs to be very simple to operate, and everything about its design must ensure that you get a good image, no matter what. The ALEXA user interface has been specifically developed to be easy to learn and quick to operate. The same interface is used on all ALEXAs, so there is no learning curve when using another model ALEXA. 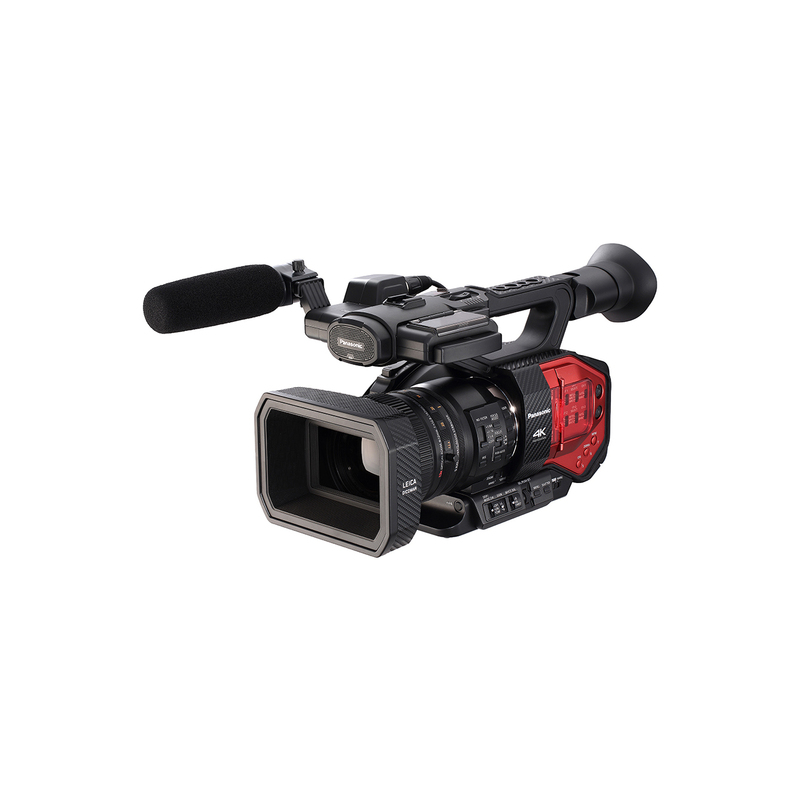 The hardware of the camera is designed for the best and most ergonomic use on the set, including the built-in shoulder cut-out, large number of accessories like the Low Mode Support LMS-3, the Remote Control Unit RCU-4 or the Wireless Compact Unit WCU-4. Three auto-switching power inputs (one BAT cabled power in and two optional battery adapters, one on top and one at the back) allow hot-swapping of one battery and will intelligently manage the power from those batteries. 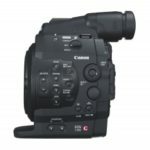 But it is also down to little details like differently shaped extrusions (eyebrows) above some buttons so the operator can feel the button’s position even from the other side of the camera or when shooting in low light. To further improve the legendary stability of the ARRI lens mount, ALEXA is equipped with a novel lens and sensor mount design. The stainless steel lens mount is attached to a stainless steel distance barrel, which itself is attached to the sensor mount that holds the sensor board. The whole unit is then attached to the camera body. By creating a fixed link between lens and sensor (all the orange parts in the second drawing), a super stable flange focal depth is ensured – even if strong mechanical influences are applied to the lens mount, such as when a heavy zoom lens is not properly supported. Using stainless steel ensures minimum material expansion or contraction during temperature changes. In order to protect against the vagaries of production, ALEXA will continuously close the file it is recording. If there is a power failure, your data is protected and the media will contain a readable, uncorrupted file. Additionally, if any metadata should get damaged, on the next reboot ALEXA will look at the actually recorded frames and reconstruct the metadata accordingly so you can continue to record on that media; we call that ‘self-healing metadata’. The ALEXA system is based on an open architecture, with many industry-standard interfaces and compatibility with third party products. 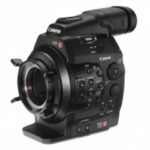 This provides more choice to the filmmaker and ensures that best-of-class components can be used. To protect customers’ investment in ALEXA, a plethora of affordable hardware and software upgrades have been promised and delivered, continually expanding the feature set. Four major components have been specifically designed to facilitate an easy upgrade path and to add new features. First, taking into account the rapid rate of change in storage technologies, the in-camera recording module on the left side of the camera is removable, featuring an SxS Module for ALEXA Classic cameras (which can be upgraded to an XR Module). Second, the Electronics Interface Module on the right side can be replaced with an upgrade such as the Plus Panel, for wireless camera and lens remote control. Third, the Exchangeable Lens Mount (ELM) allows the use of PL, LDS PL or Panavision lenses, further extending creative options. And finally, ALEXA’s processors are based on FPGAs (Field Programmable Gate Arrays), a technology that permits the camera’s feature set to be completely re-programmed. This has allowed the continuous development of many exciting new features through free-of-charge Software Upgrade Packets (SUPs) and paid-for licenses. 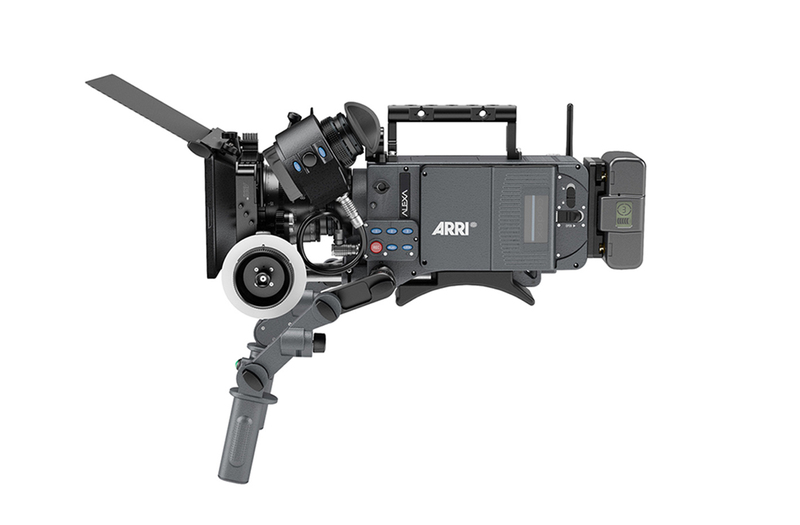 This great compatibility coupled with ALEXA’s hardware and software modularity allowed us to keep ALEXA cameras relevant, which translates into a long and reliable product cycle and is part of ARRI’s promise to protect customer’s investment. This viewfinder was specifically designed to meet the needs of professional camera operators by offering an extremely low latency image display, high image quality, accurate color reproduction and a number of features inherited from our optical viewfinders, including a peripheral viewing area we call ‘Surround View’. 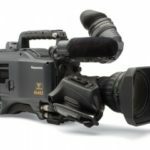 It is critical to the camera operator that the action in the viewfinder can be seen at almost at the same time as the action in front of the camera. The extremely fast image display of the EVF-1 has been made possible through the creation of a proprietary high speed connection between the viewfinder and the camera, as well as a shared image processing architecture that maximizes the processing power of both camera and viewfinder. The ALEXA EVF-1 is unique and uniquely suited for work on the set with its image delay of under one frame. A stable, accurate and high quality image is important for the camera operator. The EVF-1 image exhibits high resolution, high contrast, low distortion and an evenly illuminated viewing area. All this has been made possible through a state-of-the-art F-LCOS (Ferroelectric Liquid Crystal On Silicon) micro display with 1280 x 768 pixel resolution, a high screen refresh rate and an ARRI optical design that employs the highest quality coated glass elements. Reliable contrast and color reproduction at all temperatures are assured through careful thermal stabilization of both the F-LCOS display and the ARRI custom LED light engine. Straightforward operation is assured through a plethora of assistive displays in the viewfinder (and on the MON OUT as well), including: preset and custom frame lines, user rectangles, surround view, camera status, false color exposure check, peaking focus check, compare stored image with live image, RETURN IN video and an optional anamorphic de-squeeze (license key required). A number of ergonomically placed buttons allow convenient access to frequently used functions such as zoom and false color exposure check. The viewfinder’s settings, as well as the basic camera settings, can be changed by the operator directly on the EVF-1. Showing their heritage, ALEXA and the EVF-1 have been designed to provide some features that previously have only been available through optical viewfinders. Most important for the operator is the fact that the camera’s sensor is slightly oversized to provide an extra area around the primary image in the viewfinder (Surround View). This allows lighting stands, microphones, etc. to be spotted before ruining the shot. Additionally, the size of the image in the EVF-1 has been chosen to equal that of the image in the optical viewfinders of ARRI’s film cameras.